Produktinformationen "Trachtentasche AugenWaide True Bulls Devil J"
Leichter schwarzer Filz mit rot eingefärbtem Kuhfell aus Argentinien, das Ganze mit robustem Lederband genäht und das Logo mit glühendem Stahl eingebrannt. So muss eine Herrentasche! 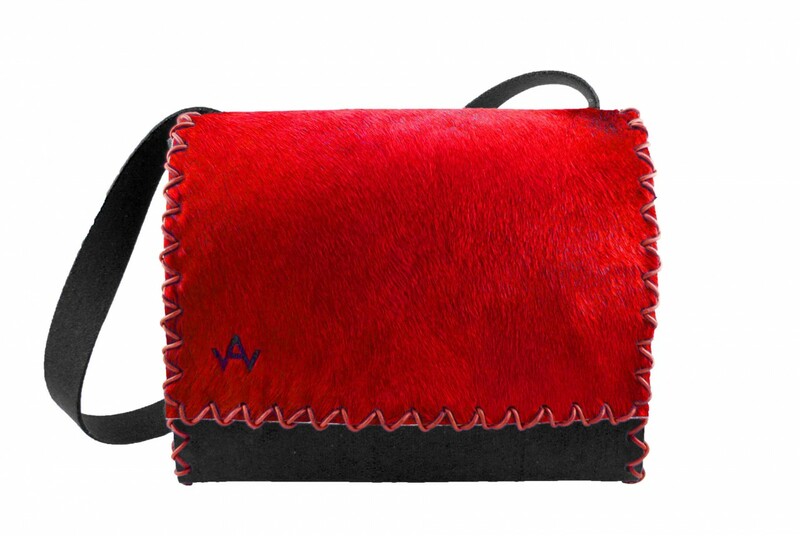 "True Men" Devil J comes with red dyed cow-fur on black felt home to you. Please keep in mind: cow-fur is a natural product. And this is why it might come to colour deviations. We endeavour to reproduce the colours very similar, but the cows never grow the same. Prerequisite of dying cow-fur with another colour is that the cow naturally had to be plain white. And this leads to a natural shortage. "True Men" measures 37 cm in lengths, 32 cm in height and 10 cm depths. The felt-handle is infinitely adjustable to a maximum lenght of 160 cm. This allows you to wear "True Men" over your shoulder or breast like a messenger-bag. Weiterführende Links zu "Trachtentasche AugenWaide True Bulls Devil J"
Kundenbewertungen für "Trachtentasche AugenWaide True Bulls Devil J"